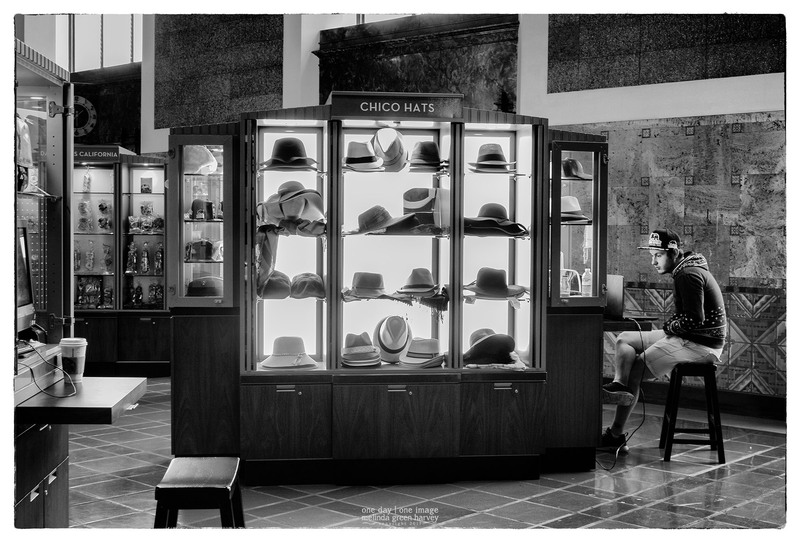 That particular afternoon, none of the people passing through Union Station were in the market for a new hat, leaving the vendor free to watch something on his computer. 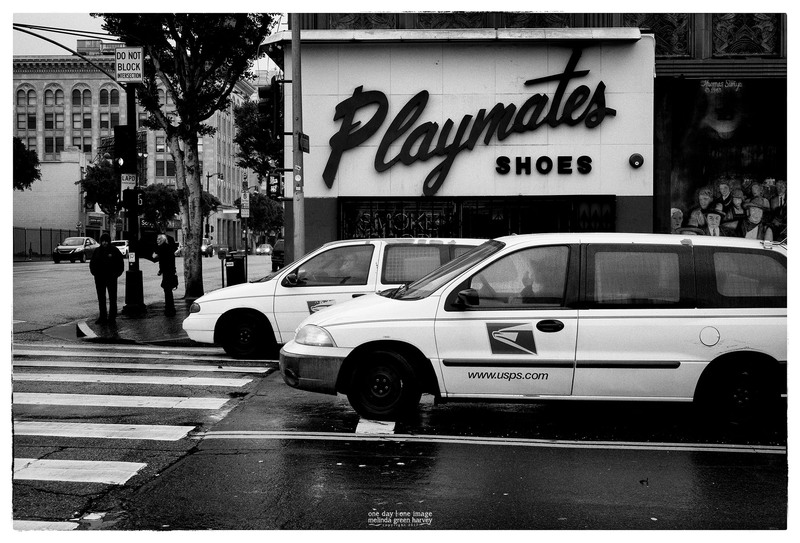 The place where – I am led to believe – Playmates previously purchased their shoes is now a smoke shop. And there’s rain all day in sunny southern California. 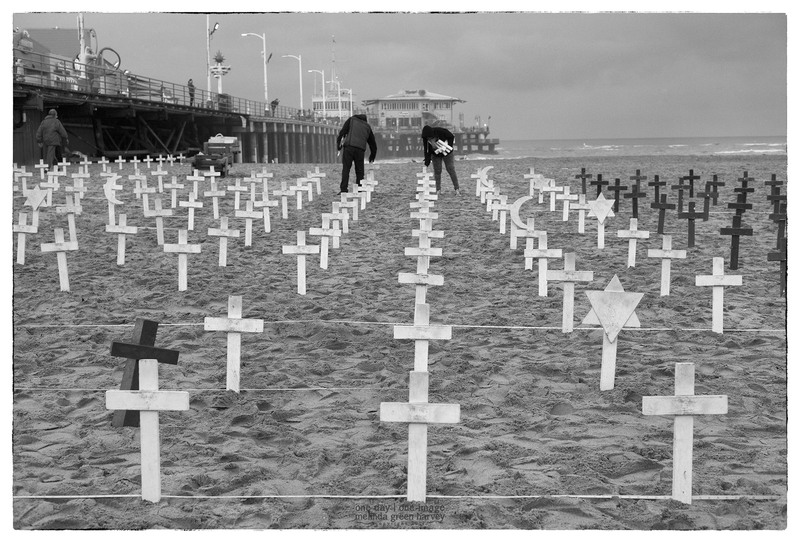 Every Sunday since February 2004, volunteers place red and white crosses (and stars of David and crescents) on the sand to remember the fallen and wounded soldiers from the United States’ wars, and to acknowledge the human cost of war. The local chapter of Veterans for Peace sponsors the project; there is a separate section with purple crosses of military members who have died by suicide. It is a stunning, sobering sight. I spoke with the gentleman who was in charge (he was wearing a red ball cap that said IMMIGRANTS MAKE AMERICA GREAT); he told me his organization was starting a new project aimed at combating the recent rise of Islamaphobia. If you want to learn more about the crosses project, there are interesting articles here and here. 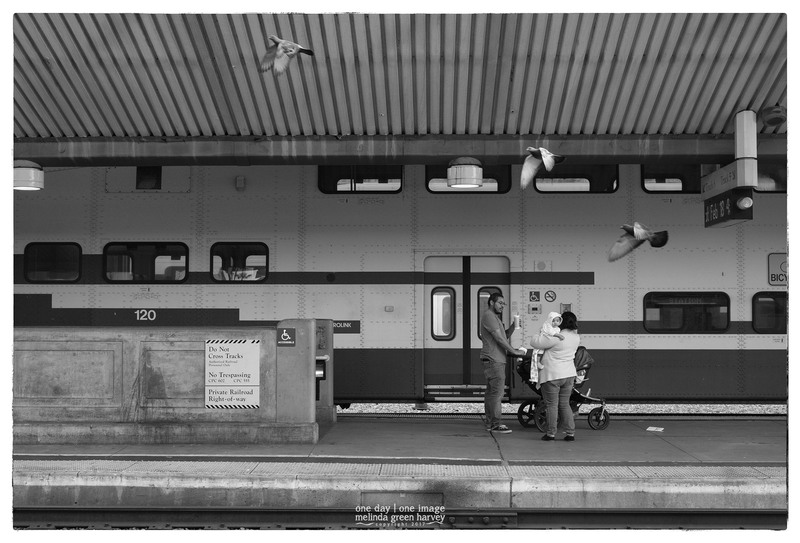 I can’t say that I was ready for this array of pigeons and people. 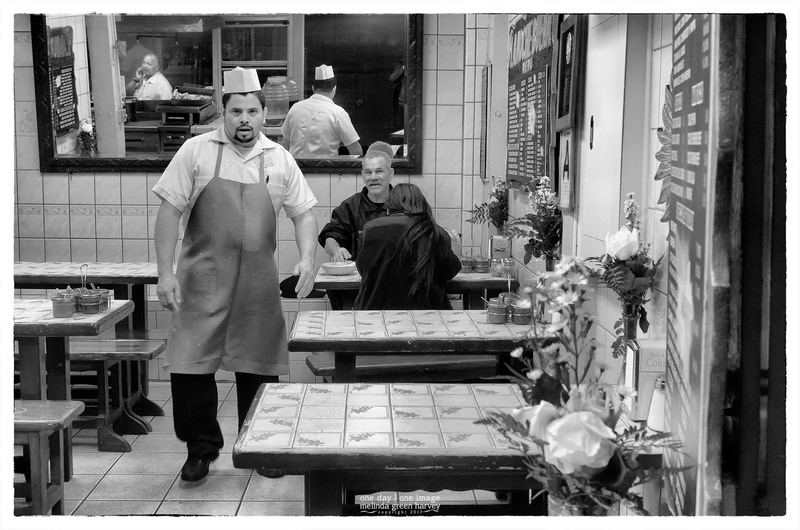 But I had composed my shot and was ready for something to happen.